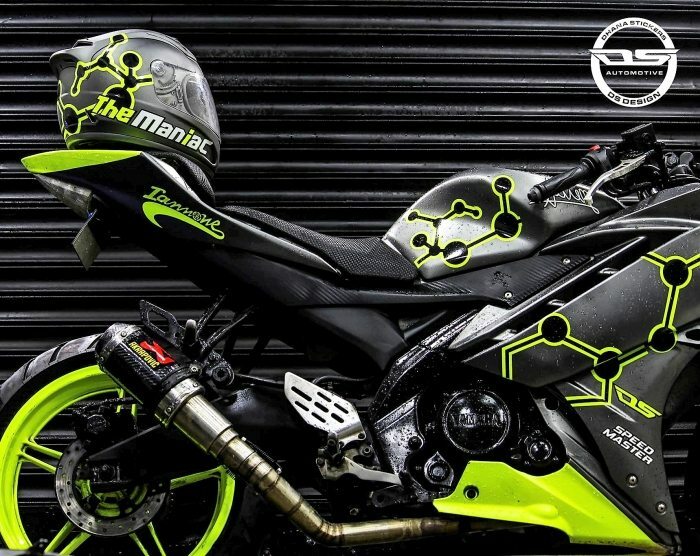 DS Design is back with an awesomely wrapped Yamaha R15 Maniac. 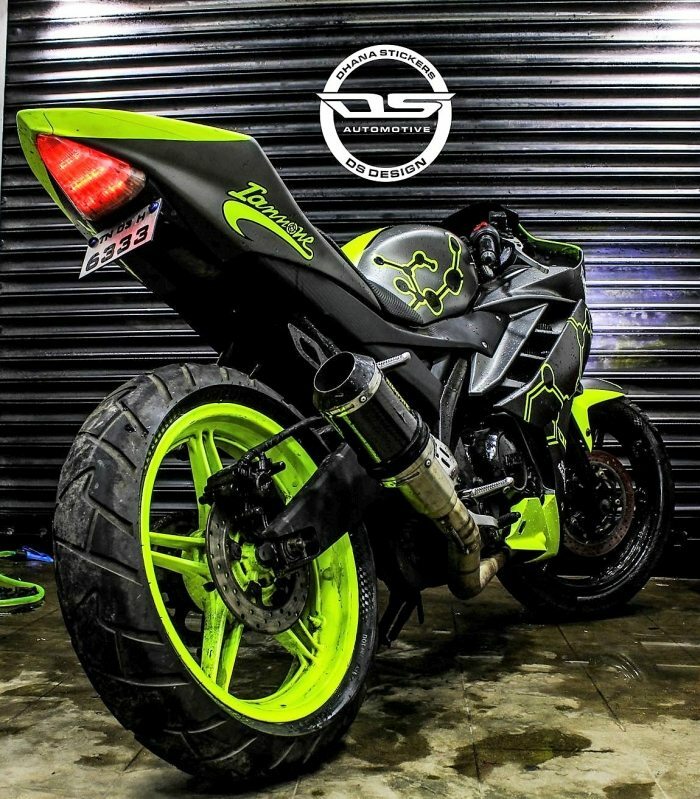 The motorcycle comes wrapped with a base shade of matte grey that gets fluorescent green inserts for a perfect contrast. 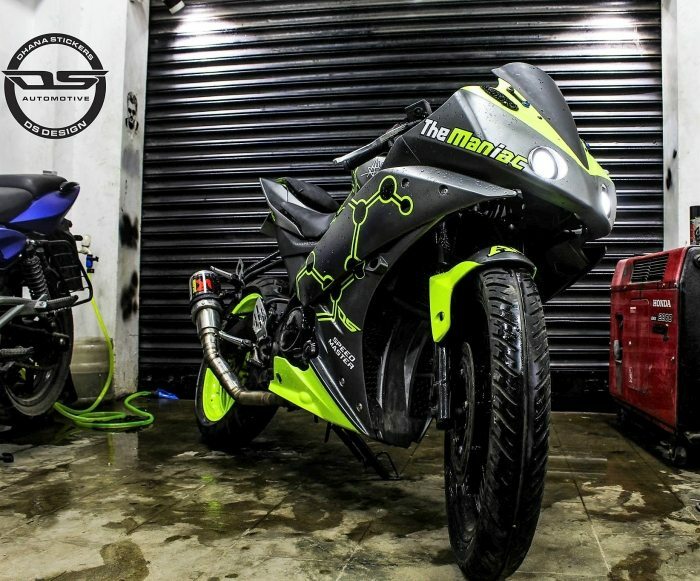 The side profile looks almost stock while biggest change can be seen at the front of this R15 Maniac. 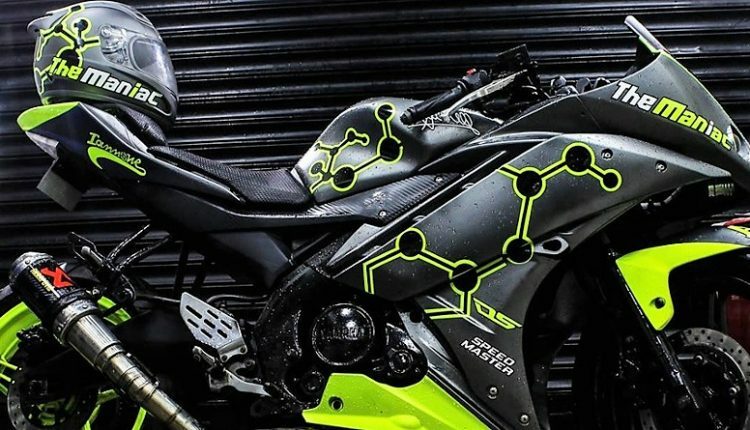 Complete front fascia of the motorcycle is covered with the grey wrap, except for the two alien looking projector headlights. 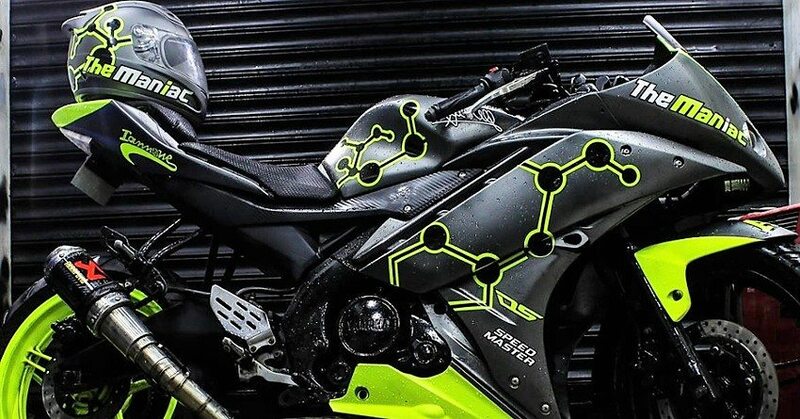 The setup contains Neon stripes that place themselves in a V pattern, falling right on the point of contact between the front fairing and visor. 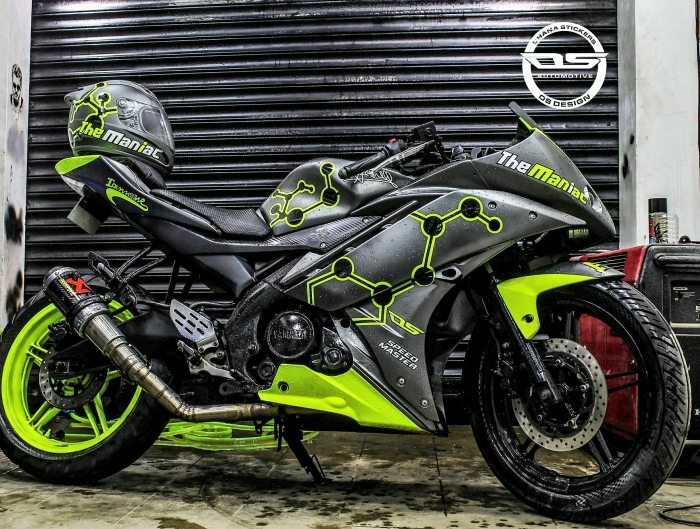 For those who have been through the tough hydrocarbon chemistry lesson in their school, the theme can be clearly seen on the side fairing, fuel tank and even the awesomely finished matching helmet for the motorcycle. Still, this one is not that tough as those drawn in that chemistry book. 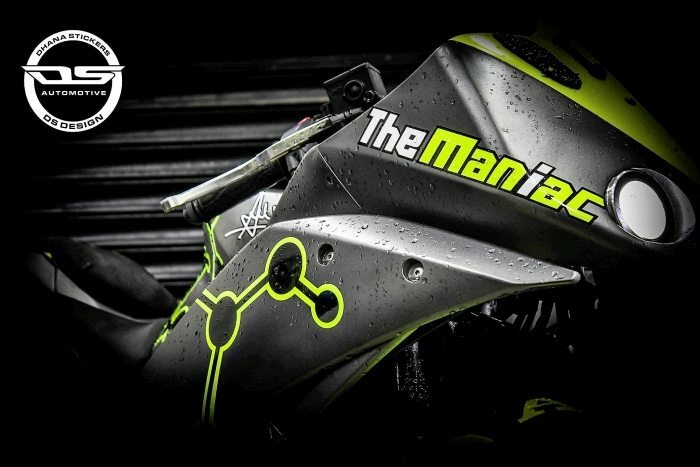 The owner has used a free flow Akrapovic exhaust on the motorcycle to enhance the overall performance of ’The Maniac’. Rear fender was removed to have that typical R-series race bike look on the R15 V2. 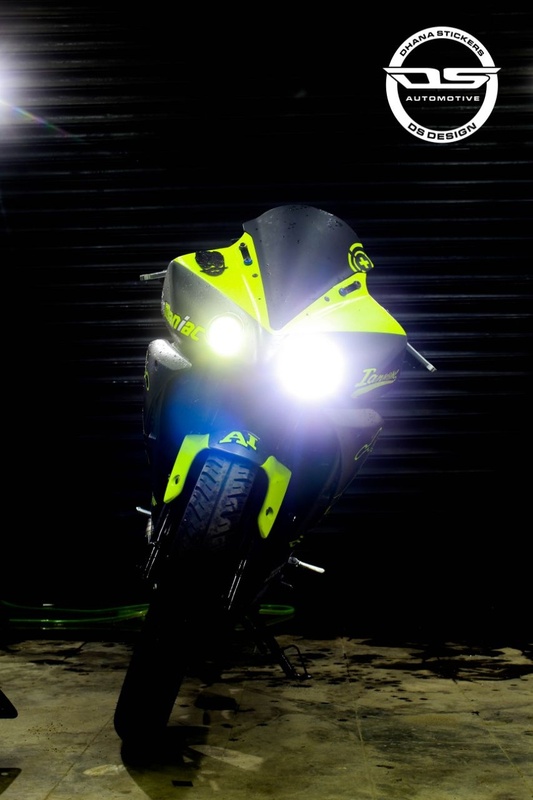 The motorcycle is powered by a 149cc, liquid cooled and fuel injected engine producing 17 HP and 15 Nm of torque.